Greek Prime Minister Alexis Tsipras takes part in a wreath laying ceremony at the Tomb of the Unknown Soldier by the Kremlin walls in central Moscow, April 8, 2015. Russian President Vladimir Putin offered Greek Prime Minister Alexis Tsipras moral support and long-term cooperation but no financial aid on Wednesday, leaving Athens to fend for itself in resolving urgent debt problems with Western creditors. 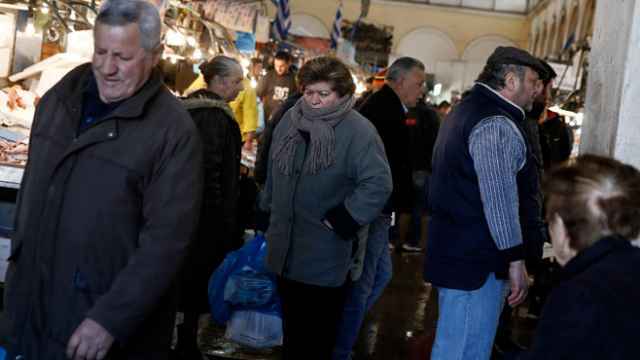 The leftist-led Greek government, at loggerheads with its euro zone and International Monetary Fund creditors, risks running out of money within weeks unless it can reach a new cash-for-reform deal. "The Greek side has not addressed us with any requests for aid," Putin told a joint news conference after Kremlin talks. "We discussed cooperation in various sectors of the economy, including the possibility of developing major energy projects." Tsipras added: "Greece is not a beggar going around to countries asking them to solve its economic problem, an economic crisis that doesn't only concern Greece but is a European crisis." 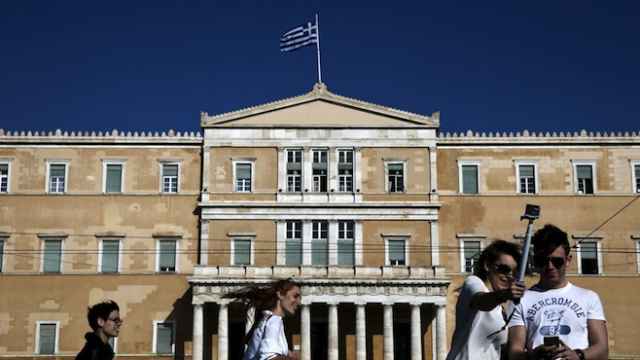 Athens managed to sell 1.138 billion euros ($1.24 billion) in six-month Treasury bills on Wednesday to keep itself afloat. The next test comes on Thursday when the government is due to repay the IMF 450 million euros, leaving it scraping state agencies' cash reserves to pay April public sector salaries and pensions. 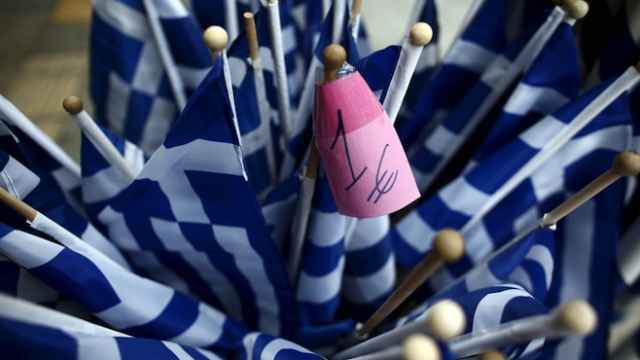 Greece must roll over another 1 billion euros in short-term debt on April 15. On a maiden visit to Moscow that caused unease among some EU partners, Tsipras mostly heeded warnings from Brussels and Berlin not to break ranks with European Union economic sanctions imposed on Russia over its role in destabilizing Ukraine. He told the news conference that Greek exports had been hurt by Russian counter-measures he called understandable, and said he had made clear to his EU peers that he disagreed with the rationale for "economic warfare." 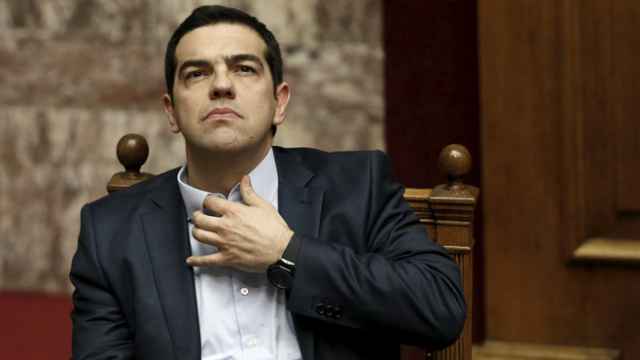 Responding indirectly to a warning from European Parliament President Martin Schulz, Tsipras said: "Greece is a sovereign country with an unquestionable right to implement a multi-dimensional foreign policy and exploit its geopolitical role." Putin said he understood that Greece, which has historical and cultural ties to Russia, had been forced to go along with the policy and disavowed any attempt to use Athens' debt woes to drive a wedge among EU nations. "I want to assure you that we do not aim to use any internal European Union situations to improve ties with the European bloc as a whole. We want to work with the whole of united Europe," the Russian leader said. In goodwill gesture, Russia's Economy Ministry said it had prepared a package of proposals to ease a retaliatory ban on Western food products for a meeting of Greek and Russian officials on Thursday. Putin said Moscow could provide credits for joint projects with Greece in the future, possibly including the planned Turkish Stream pipeline to carry Russian gas to Europe via Turkey, in which Tsipras voiced interest. Putin also said Russia would also be interested in taking part in privatization tenders if Greece held any, touching a raw nerve since Tsipras' government is split over whether or not to continue with the sale of state assets which its predecessors began as part of the country's bailout program. However, such long-term prospects offered no relief from Greece's immediate financial stress. In Brussels, senior euro zone finance officials met for an update on slow-moving negotiations between Athens and its creditors on a comprehensive package of reforms they require to release urgently needed remaining bailout funds. 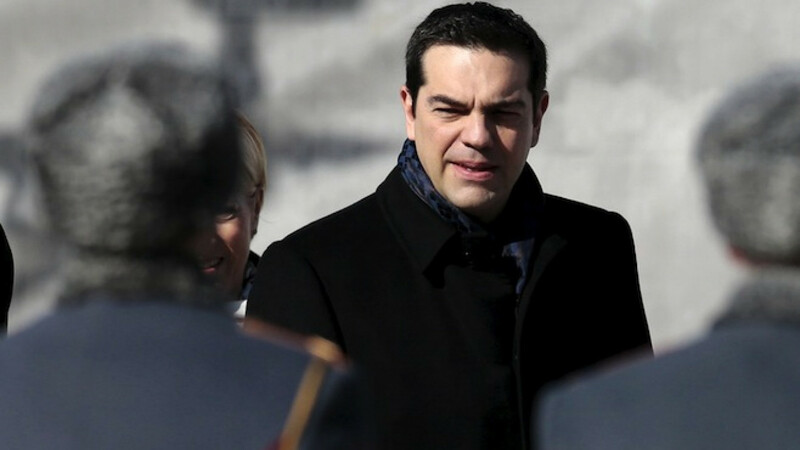 Greece submitted a 26-page reform list last week but negotiators say it was vague and optimistic on revenue numbers and omitted key issues of pensions and labour markets, which are the most sensitive for Tsipras' leftist Syriza party. A euro zone official said no breakthrough was expected at the meeting, and the crunch was likely to come at a meeting of the currency area's finance ministers in Riga on April 24. Greece has not asked Russia for financial aid and wants to resolve its debt problems within the European Union, a Greek government official said. Will Putin Rescue Greece's Tsipras? As Greek Prime Minister Alexis Tsipras prepares for talks with President Vladimir Putin during a visit to Moscow beginning on Wednesday.